If you’re not getting personal in eCommerce marketing, you’re making a costly mistake. We’re not just talking about revenue. It could cost you customers, too. Around 41% of customers switch companies because of poor online personalization and a lack of trust. In terms of money, poor eCommerce personalization costs US businesses around $756 billion a year. You can’t overestimate the importance of personalization in eCommerce. Whatever your budget, no business can can afford to lose customers or revenue. Meanwhile, the potential payoff for getting eCommerce personalization right is huge. 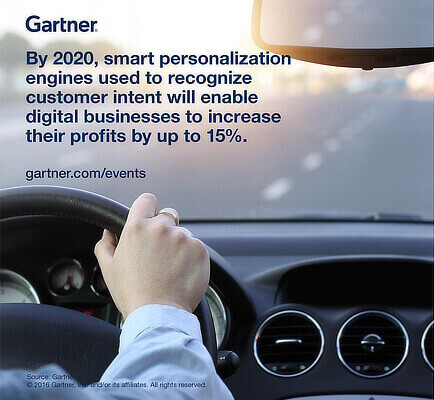 Gartner predicts that eCommerce businesses that personalize successfully could see profits rise by 15% by 2020. That’s got to be worth a shot, right? So how do you get your share of those rising profits? 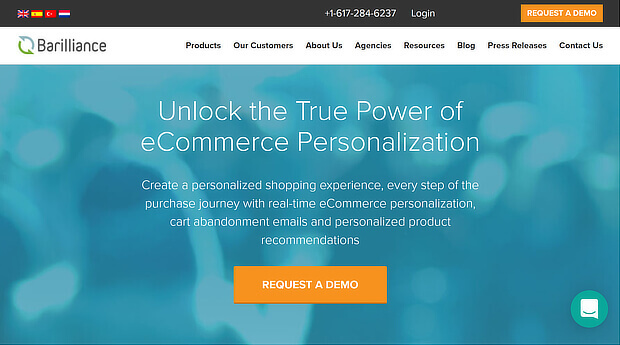 By using some tools to make eCommerce personalization easy. With so much personalization software around, it can be difficult to identify the tools that’ll really make a difference to your business. 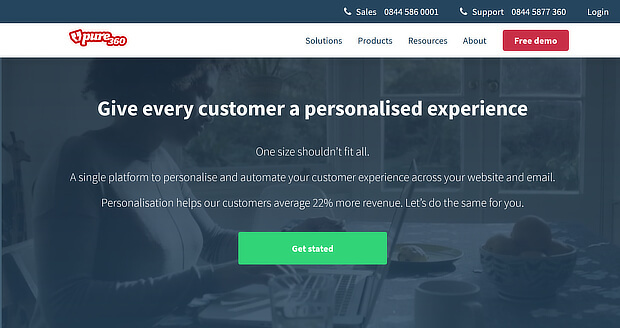 That’s why we’ve scoured the web to find the best eCommerce personalization tools around. These’ll help you create a unique online shopping experience for each visitor so you can make more sales. OptinMonster is one of the most powerful eCommerce personalization tools on the market because it can instantly boost your revenue. OptinMonster’s advanced targeting features are flexible enough for any eCommerce shop create personalized marketing campaigns that compel your visitors to buy. It can be used on any type of website, and has a dedicated WordPress plugin and Shopify app with extra options as well. eCommerce site owners have seen huge revenue boosts using personalized campaigns like the ones listed above. Skates.co.uk, a family-owned eCommerce company, combined personalization features like geo-location and mobile device targeting to recover abandoned carts and get an extra £2000 a day in holiday sales. Kennedy Blue, an eCommerce business in the wedding industry, has to overcome a long buying cycle plus many sales objections due to their innovative business model. They used a personalized exit-intent popup targeted at visitors who were considering a purchase, but about to abandon the site. 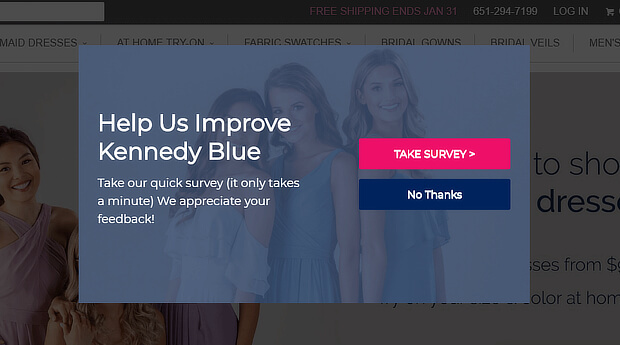 This behavior-targeted survey provides Kennedy Blue valuable feedback, and combined with other OptinMonster campaigns, increased their sales 50% within a month. OptinMonster also has transparent and affordable plans for small and medium sized businesses, while many other eCommerce personalization tools only offer pricing on request and focus only on enterprise-level eCommerce. Want to get results like these? Click here to get started with OptinMonster today. Monetate is one of the best known eCommerce personalization tools. It offers intelligent customer segmentation, personalization, and individualized product recommendations. This allows retailers to personalize in a range of ways, including personalizing for each individual. 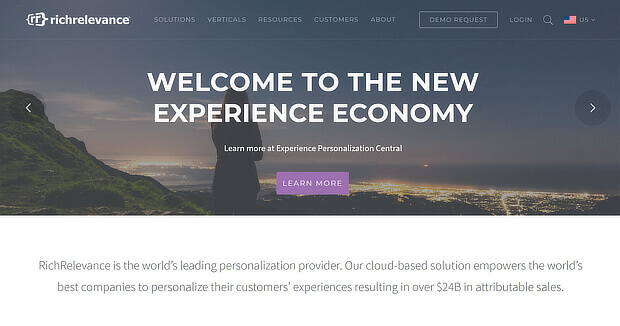 Barilliance offers personalization throughout the customer journey. As well as online personalization and product recommendations, it includes cart abandonment and customer retention tools. Barilliance includes live shopping notifications, too. It promises a 5 minute setup process. Evergage tracks visitors’ behavior on your site and mobile app so you can offer the right products, messages and incentives at the right time. 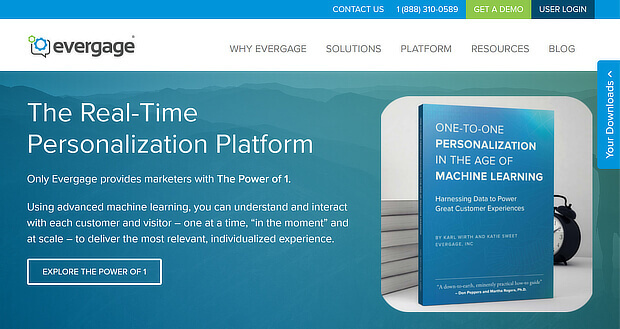 Like other eCommerce personalization platforms, Evergage also lets you personalize content and product recommendations so you can boost engagement and sales. 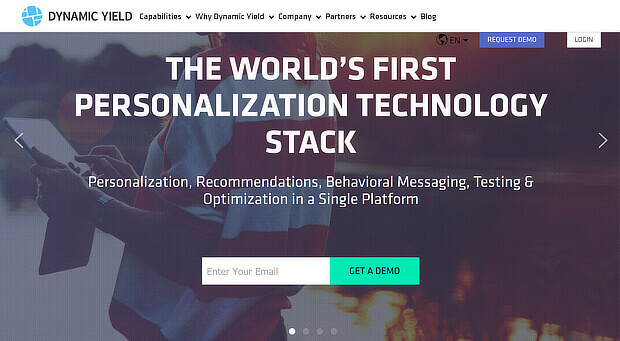 Dynamic Yield is an enterprise-level eCommerce personalization tool that says it’s the “world’s first personalization technology stack”. Its product includes personalization, product recommendations, messaging, testing and optimization to help retailers optimize online experiences in real time. Household names like Sephora, Hallmark, and IKEA use Dynamic Yield to increase revenue. RichRelevance offers entreprise-level omnichannel personalization for companies like HP, L.L.Bean, and L’Oréal. They provide personalized navigation, search, and recommendations. They also offer personalization as a service so retailers can build unique customer experiences that are consistent across all marketing channels. Salesforce Commerce Cloud includes artificial intelligence software, called “Einstein”, to help online retailers personalize product recommendations for all shoppers. The tool includes personalized product sorting to show customers what they want and drive more sales. Yusp provides personalization both online and in-store, including product recommendations, personalized search and mobile personalization. They collect data on your users both on-site and off-site (such as through your mobile app or email newsletters), and use that data to create personalized multichannel campaigns to grow your revenue. Apptus uses artificial intelligence to help eCommerce retailers predict and display the right products to customers at the right time. It offers personalized search, navigation, and eCommerce product recommendations to deliver relevant customer experiences. 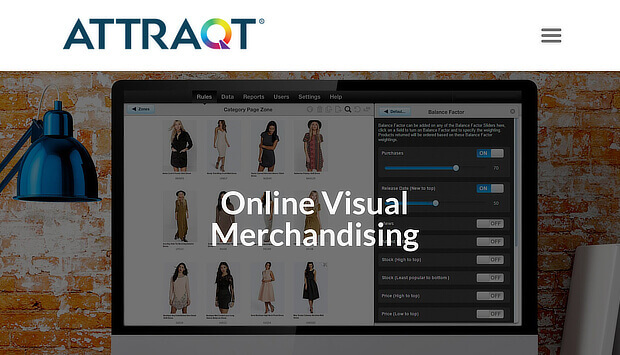 Used by many recognisable brands, Attraqt is an online visual merchandising tool. It adapts to sales, trends, and even seasons to always showcase the best product combinations to drive more sales. Bunting lets you create personalized website content for each visitor. It includes a point and click recommendation engine, plus analytics to help you further optimize shopping experiences. 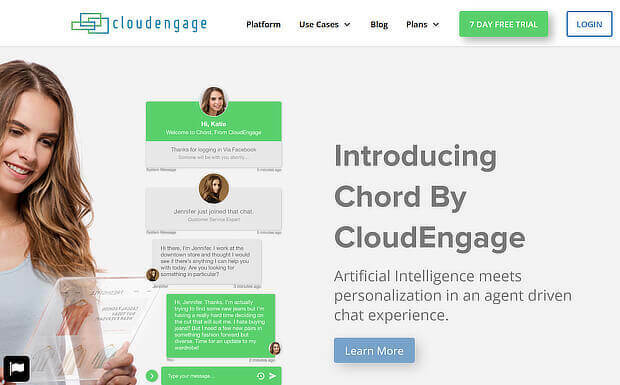 CloudEngage is an eCommerce personalization tool that helps retailers recognize customer intent and show options based on past customer behavior. It also delivers personalized home page and shopping cart recommendations. CommerceStack creates automated product recommendations for Magento eCommerce stores to make upsells and cross-sells easy. Recommendations are updated daily. 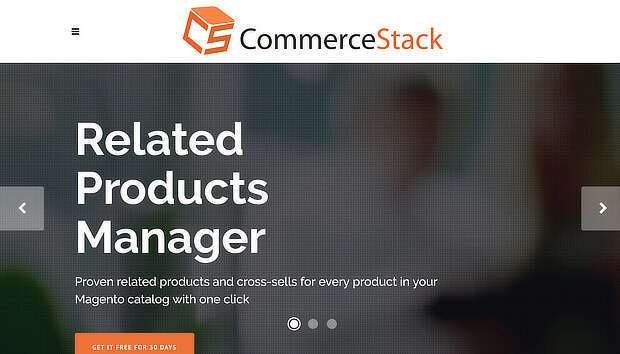 CommerceStack works with all Magento templates. Cxsense captures customer data across multiple devices and platforms so you can use that to engage your audience and improve their experience on your site. It offers real-time eCommerce personalization to improve conversions and sales, and promises to scale easily as your business grows. Emarsys is easy to use product recommendation software. It delivers personalized recommendations integrated across web and email to help retailers increase engagement and sales, no matter where their visitors are shopping. 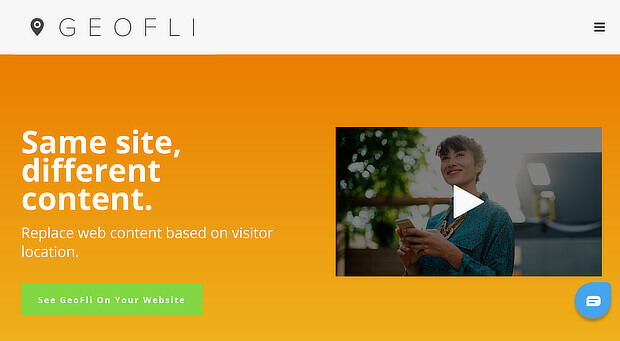 GeoFli lets you change web content based on your visitors’ location. This content replacement tool delivers a tailored, geographically-specific experience that reduces your bounce rate, and increases visitor engagement and conversions. 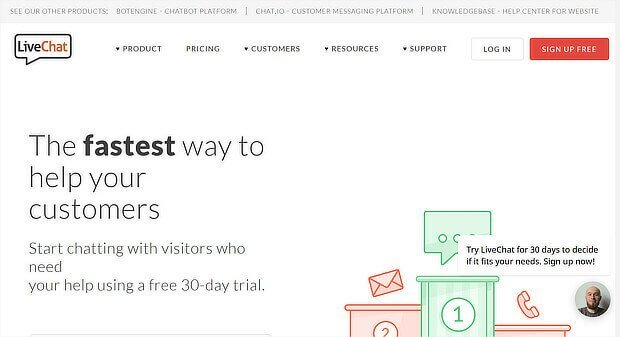 LiveChat is a different kind of eCommerce personalization tool. That’s because it lets you offer personalized service by interacting with customers when they’re thinking about buying. It’s a great way to build the customer relationship and make more sales. 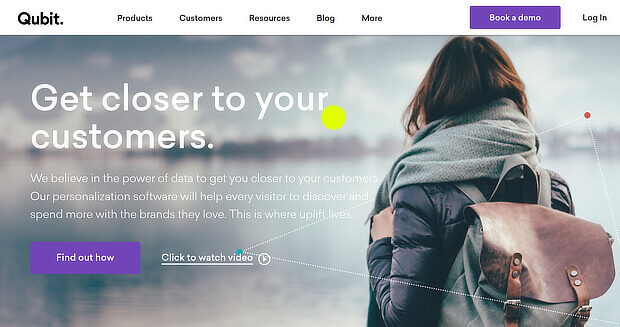 The eCommerce personalization software from OmniConvert offers more than 40 ways to segment your audience so you can get the insights you need to build a unique online store for each customer. It also includes weather-based personalization. Personyze is a personalization tool that collects all your data to form a comprehensive visitor profile. With that information, you can personalize content and recommendations. Personyze works on every site. You can use a demo account to try it out for free. Pure360 aims to tailor each visitor’s customer journey to show the right content and promotions at all times. Recommendations update in real time depending on visitors’ behavior, and it’s easy to cross-sell. Pure360 integrates with your email marketing software to help with cart recovery and post-purchase promotions. 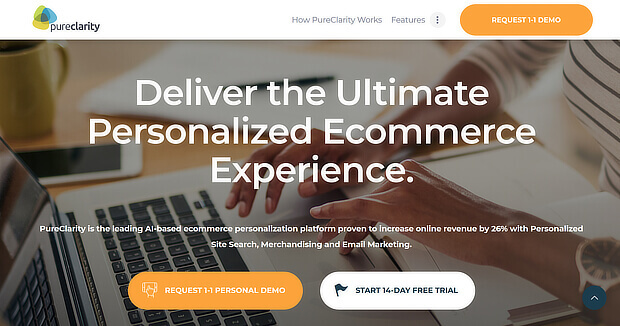 PureClarity is another of the eCommerce personalization platforms that uses artificial intelligence to collect and analyze onsite and offsite customer behavior. This lets you personalize search results, merchandising and marketing to improve conversions and increase sales. These days, eCommerce personalization tools can’t exclude mobile. Qubit aims to improve product discovery for visitors using mobile devices to create a personalized app-like shopping experience for each visitor. Qubit also includes personalization for product recommendations. Reflektion helps you understand customers’ real time preferences and buying intent so you can always show them the right products at the right time. It also helps you create a unified cross-device and cross-platform experience for your visitors to improve sales. 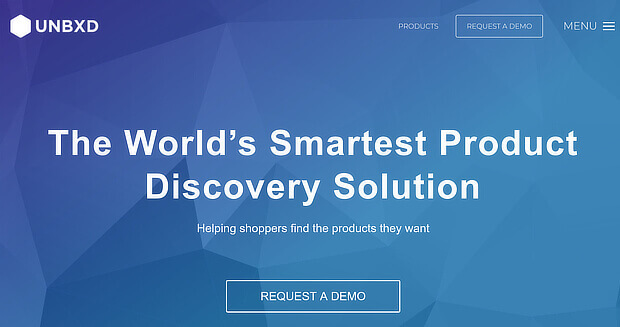 UNBXD delivers predictive search so that shoppers can discover and view the products that best meet their needs. This eCommerce personalization software also lets online retailers personalize each shopper’s experience of browsing the site. Want to get really personal with your customers? Personalize promotions based on the weather where they are. That’s exactly what WeatherUnlocked offers. 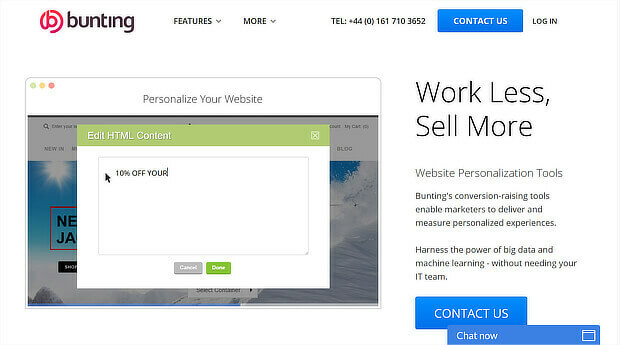 This tool offers weather-based personalization for eCommerce stores and other websites, and integrates with a wide range of digital marketing solutions. AutoCommerce is a free product recommendation software app for Shopify stores. 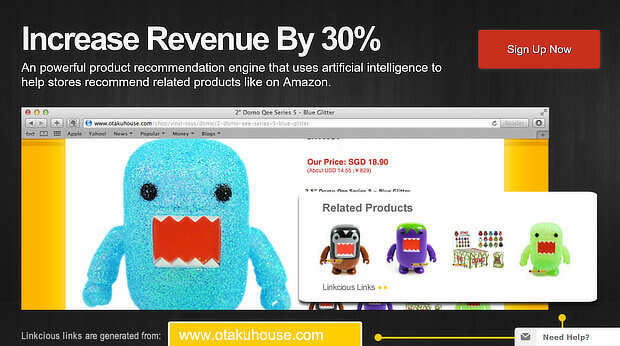 It promises Amazon-like recommendations to create personalized upsells for each customer. The makers say this solution will also reduce the amount you spend on ads. Linkcious also gives you Amazon-style related products. 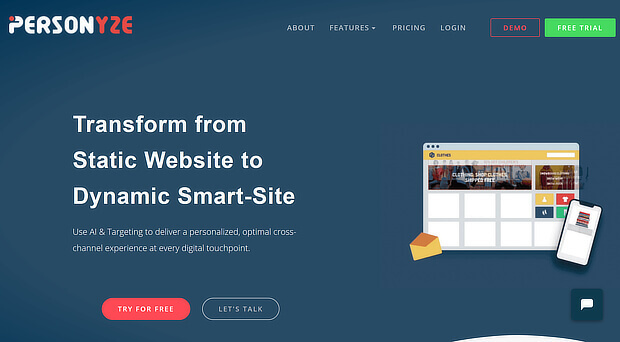 It’s cross-platform eCommerce personalization software that integrates with Shopify, WooCommerce, and more. You can even use it to sell your products on other websites to get more traffic and sales. 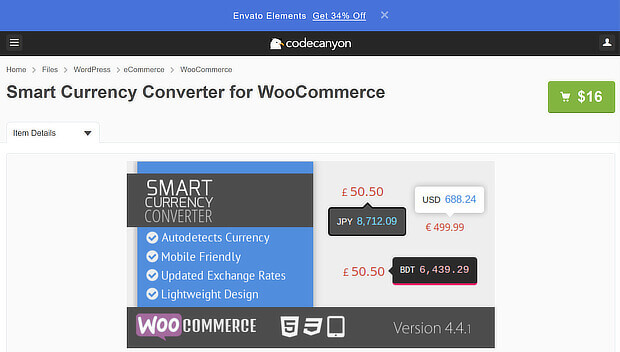 Finally, Smart Currency Converter for WooCommerce offers a quick way to personalize your WooCommerce store by auto-detecting the right currency for your visitors. It then translates all prices to that currency, making it easier for visitors to understand product pricing. This WordPress plugin costs $16. Now you have a full range of eCommerce personalization tools to help you to create better customer experiences and make more sales. 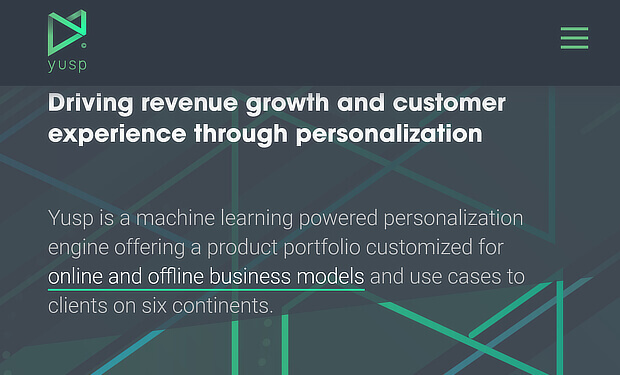 Next, check out these eCommerce personalization examples for inspiration, and see our complete guide to eCommerce optimization to skyrocket your sales. And follow us on Twitter and Facebook for more eCommerce marketing tips and guides.